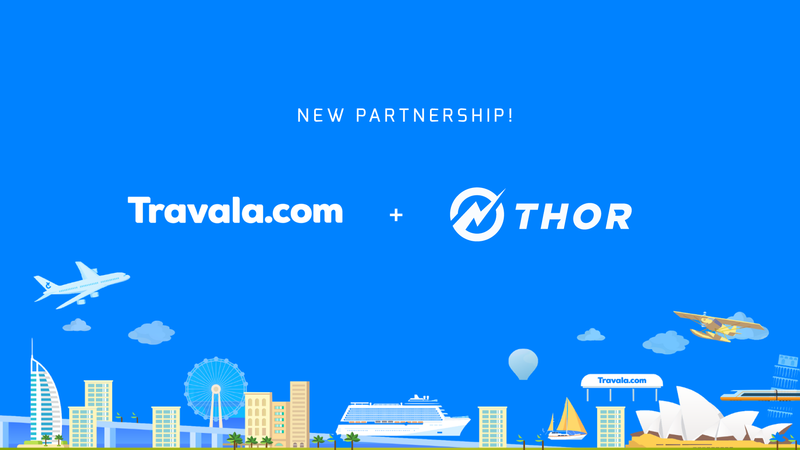 San Francisco, June 13, 2018—We are happy to announce our official partnership with Travala! A NEO-based blockchain startup, Travala is a Decentralized Travel Booking Marketplace that connects consumers and vendors directly over the platform with 0% fees or commissions. Travala’s team has worked in the travel industry for a combined 75 years and is ready to leverage blockchain to up the status quo of the online travel industry while simultaneously breaking down barriers to entry for smaller, independent service providers. Travala’s platform will be used by independent travel service providers who could benefit from the access to benefits that the Thor Platform provides. In turn, contractors around the globe in the Thor network can use Travala to both find work and high-quality decentralized travel services. The potential opportunities created by this partnership are extensive, and the benefits it will provide users from both platforms are significant. We are excited to work together and see what the future holds!